· Marvel Studios – Guardians of the Galaxy, Captain America: The Winter Soldier, Thor: The Dark World, Iron Man 3 and more. · Disney-Pixar Animation Studios – Monsters Inc, Monsters University, Up, Wall-E and more. · Disney – Frozen, Wreck-It Ralph, Cars, Lilo & Stitch, The Jungle Book, Cinderella, and more. 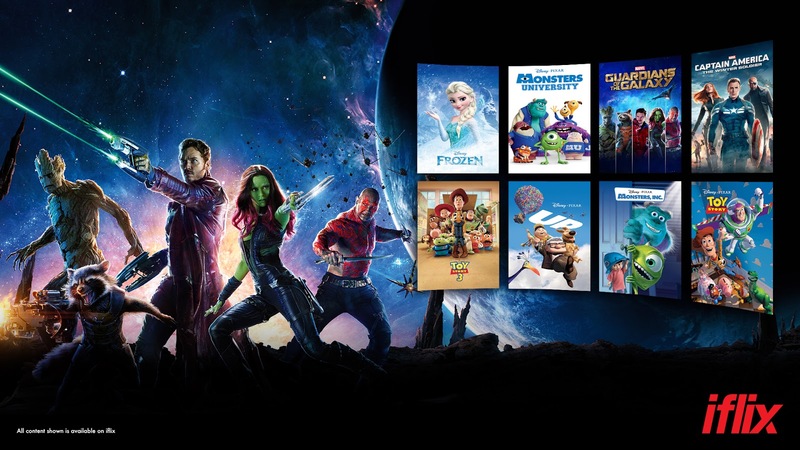 Additional titles coming to the service from January 2018 include - Star Wars: The Force Awakens, Marvel blockbuster hits including Captain America: Civil War and Ant-Man, Disney’s The Jungle Book, Zootopia, and Tangled, and Disney-Pixar animation favorites like Finding Dory, Finding Nemo, Inside Out, Good Dinosaur, and The Incredibles!